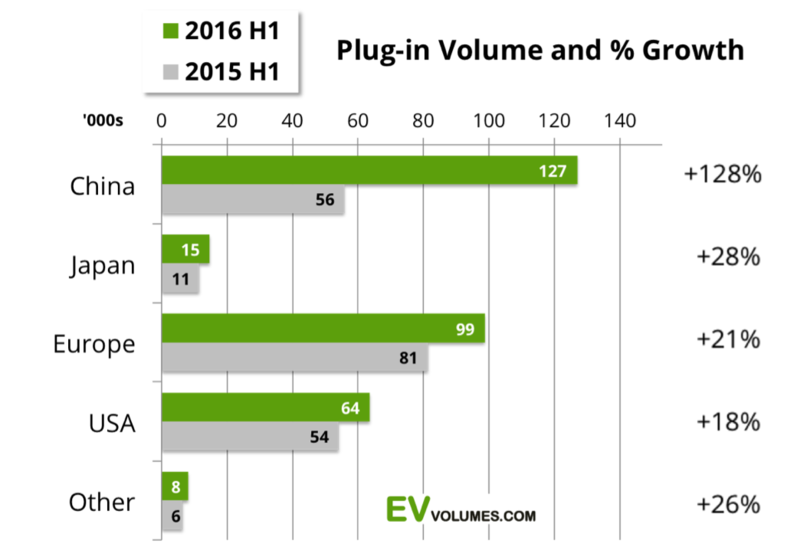 Electric vehicles are coming – worldwide growth rates are picking up with China leading the world. However the implications for smart cities, in terms of increased electricity demand, smart grid infrastructure and CO2 abatement are not as simple as you’d think. As shown below (From EV columes.com), global monthly sales are now at 70,000 vehicles. Not a lot compared to global sales of regular cars, but it’s now significant and growing rapidly. The main driver of growth is China – with a rapid growth spurt in the first half of 2016. However Europe and the US are growing steadily with Europe outpacing the USA by 25%. 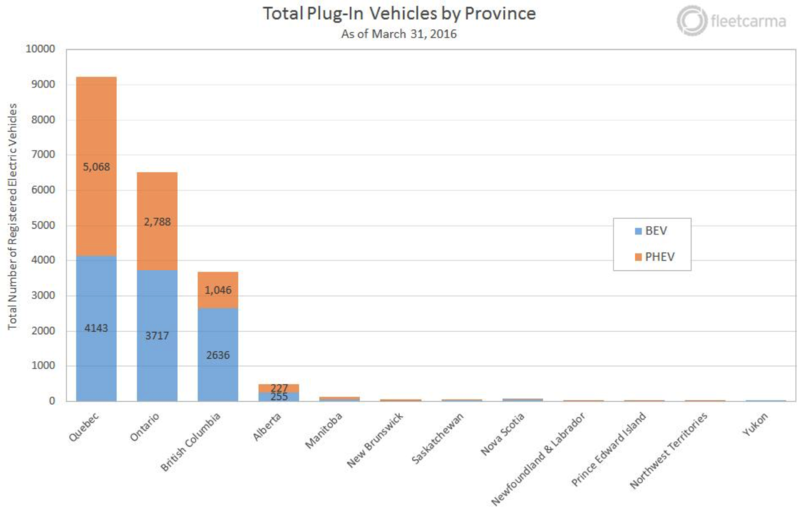 Canada doesn’t do so well, total plug-in is less than 25,000 across Canada, with only Quebec, Ontario and BC having significant sales. 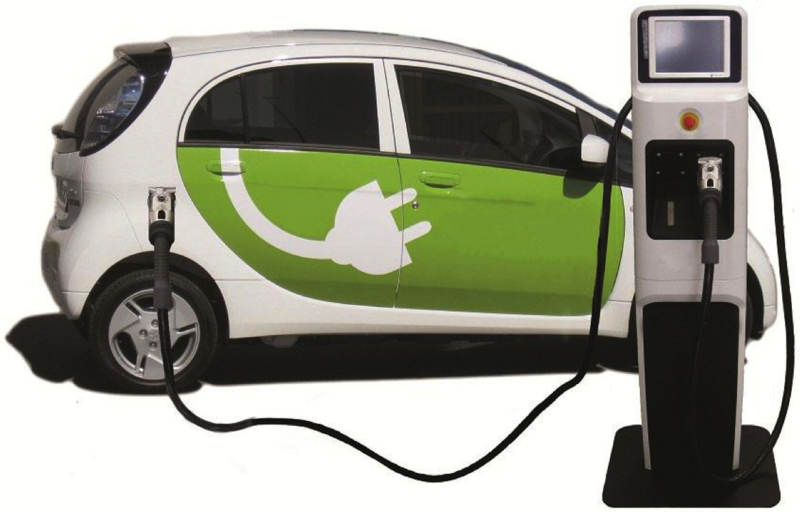 For many people, there is an assumption that electric vehicles will require a significant update of the overall generation capacity, however studies have shown[1-3] that the impact on Load, ie the amount of extra energy load placed on the grid is only 7% at 30% penetration rate of EV. This type of extra load is not considered significant and most first world systems would have no real problem absorbing this extra load. One caveat is that although this load – when taken as an average – will not require significant upgrade of the generation capaicity, it will require upgrades of the local grid. EVs put a load of, on average an extra 54% on a household – because they are often charging when the normal load is low. 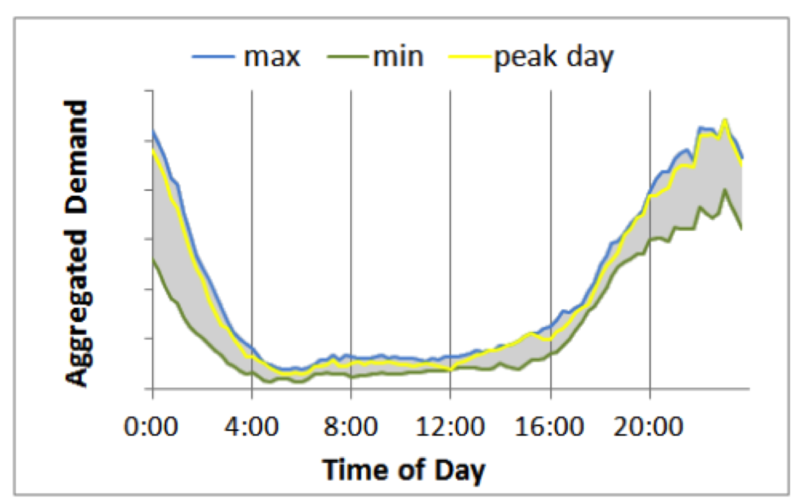 This type of load, especially if several households in a block charge at the same time, will require upgrades to the local grid infrastructure. But how often do people with EVs charge them, and when – again from the same reports [1-3] there is data on charging behaviour for EV owners. Looking at the pattern over the week, charging grows during the week. Peaking on thursday and then falling over the weekend. Again the pattern is clear – and reasonably obvious. The vehicles are used mainly for commue, so at the weeknd, usage drops and so does the need to recharge. Early in the week, overal charging is lower, mainly because for many drivers, a full charge will get them into tiesday and even wednesday and so they are only required to charge later in the week. Electricity generation and infrastructure: while the overall impact is not likely to cause many problems, utilities will need to ensure that their rolling upgrades plan for increased loads at the city block area. 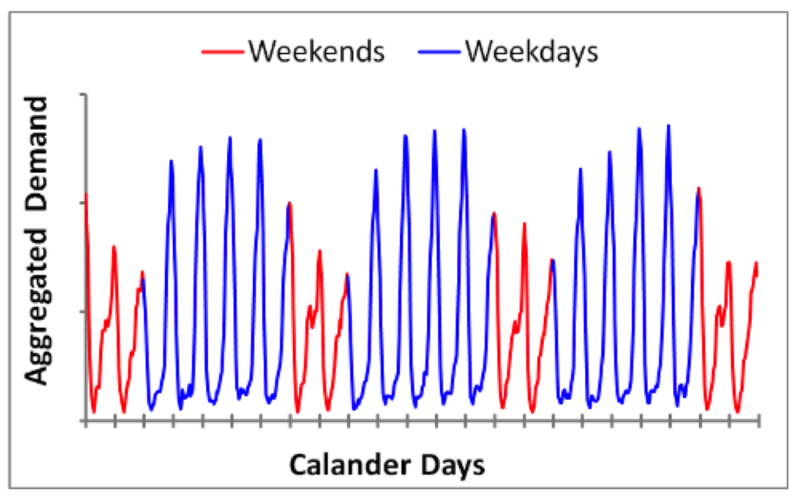 User behaviour seems to focus on home recharging at night – daytime top-ups are infrequent, often in emergencies. So city charge points are not a critical requirement for uptake. This last requirement points to the need for better integration and data flows in a smart city. People and planners can’t make decisions without information. As we often say at Urban Opus, data is the new infrastructure and it needs to be managed and supported in the same way as any other infrastructure. That’s part of our work at Urban Opus and the reason we promote a Smart City data hub!